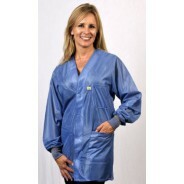 Tech Wear Hallmark ESD-Safe 33”L Jacket With ESD Cuff & Ground Snap IVX400 Color: Royal Blue Size: 2X-Large. 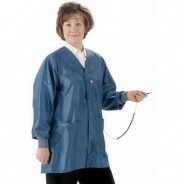 Tech Wear Hallmark ESD-Safe 33”L Jacket With ESD Cuff & Ground Snap IVX400 Color: Royal Blue Size: 3X-Large. 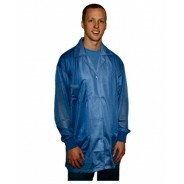 Tech Wear Hallmark ESD-Safe 33”L Jacket With ESD Cuff & Ground Snap IVX400 Color: Royal Blue Size: 4X-Large. 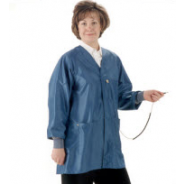 Tech Wear Hallmark ESD-Safe 34”L Jacket With ESD Cuff & Ground Snap IVX400 Color: Royal Blue Size: 5X-Large. 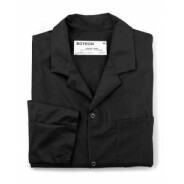 Tech Wear Hallmark ESD-Safe 32”L Jacket With ESD Cuff & Ground Snap IVX400 Color: Royal Blue Size: Small. 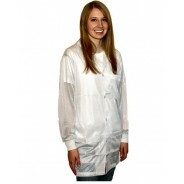 Tech Wear Hallmark ESD-Safe 32”L Jacket With ESD Cuff & Ground Snap IVX400 Color: Royal Blue Size: X-Large. 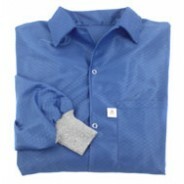 Tech Wear Hallmark ESD-Safe 30”L Jacket With ESD Cuff & Ground Snap IVX400 Color: Royal Blue Size: X-Small.